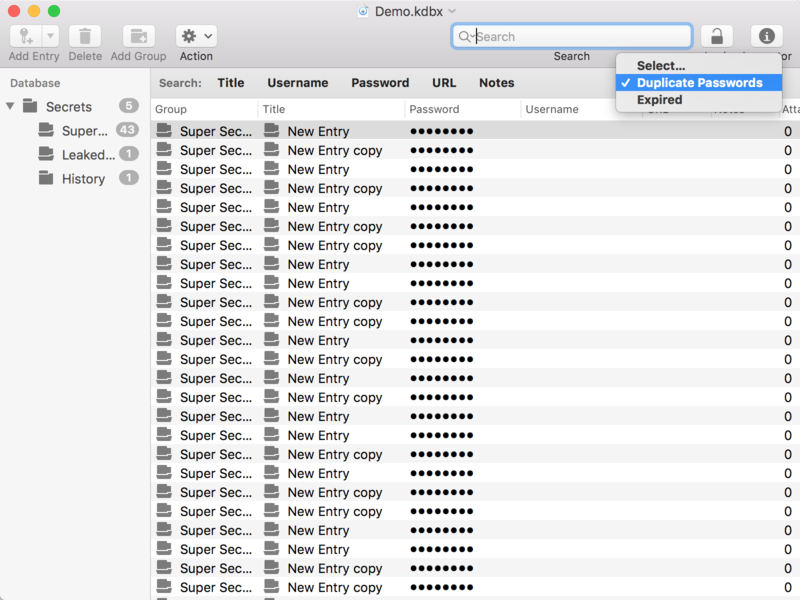 Open files in individual windows or use tabs to use a single window. 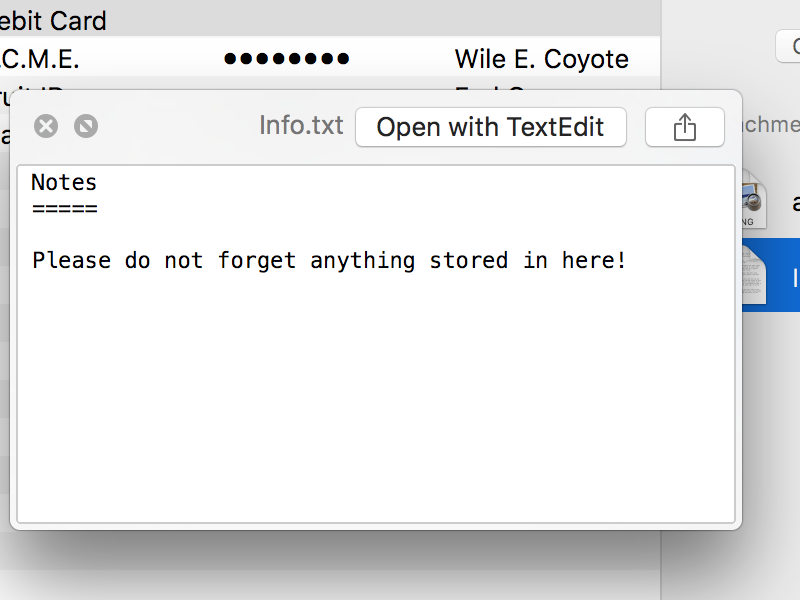 Your files will get saved constantly. 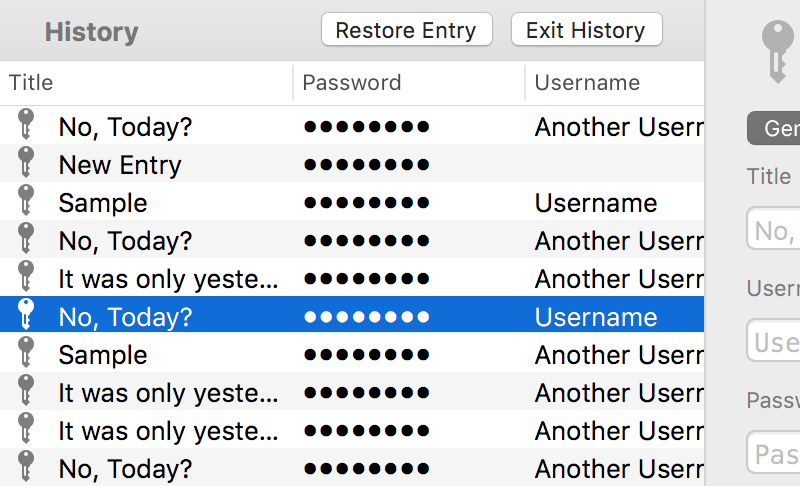 Lost something and cannot recover it from an entries history? Browse versions to find what you're looking for! 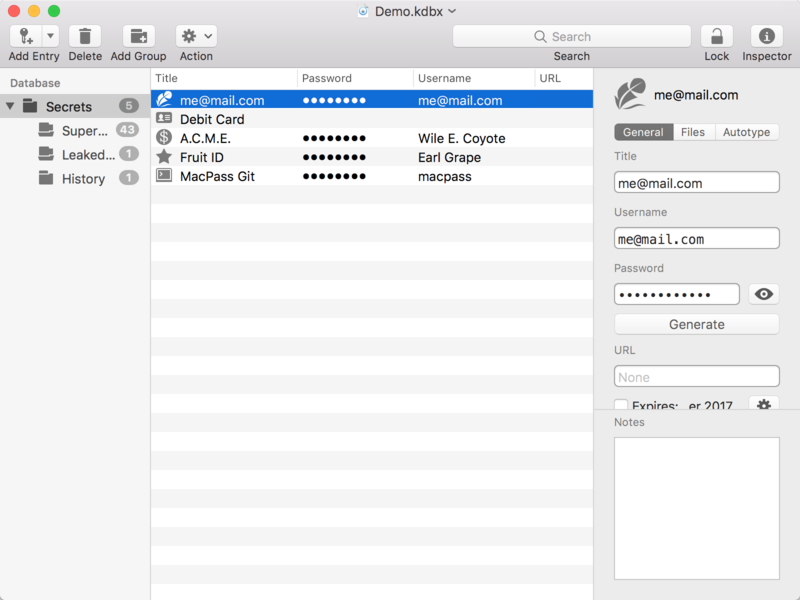 MacPass supports Undo/Redo for everything you do with your data. Something went wrong and you want to revert it, just undo your changes an you're good to go! Move or copy entries and groups inside a database or between two files. 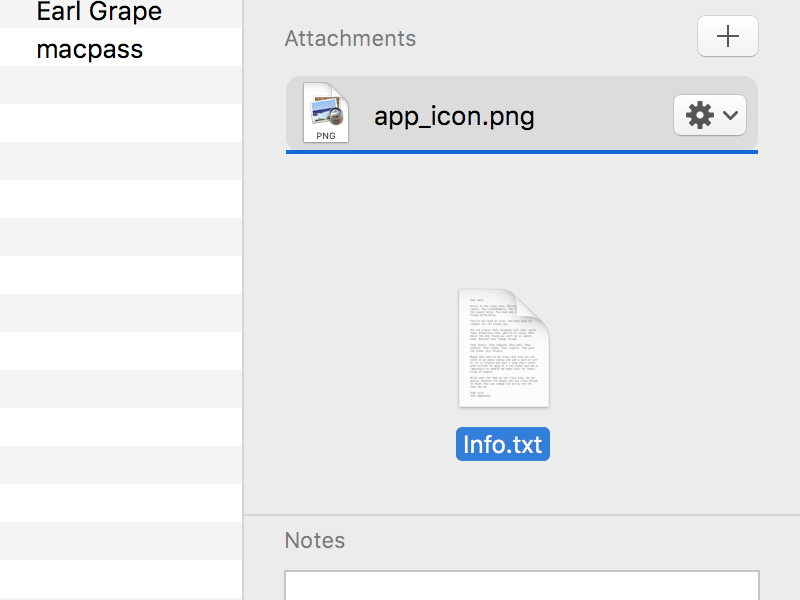 Add file attachments by dropping them onto entries. You even can add entries by dragging URLs onto the database. Enable previews to leverage the QuickLook system for previews of a variety of file types to take a look at your file attachments. 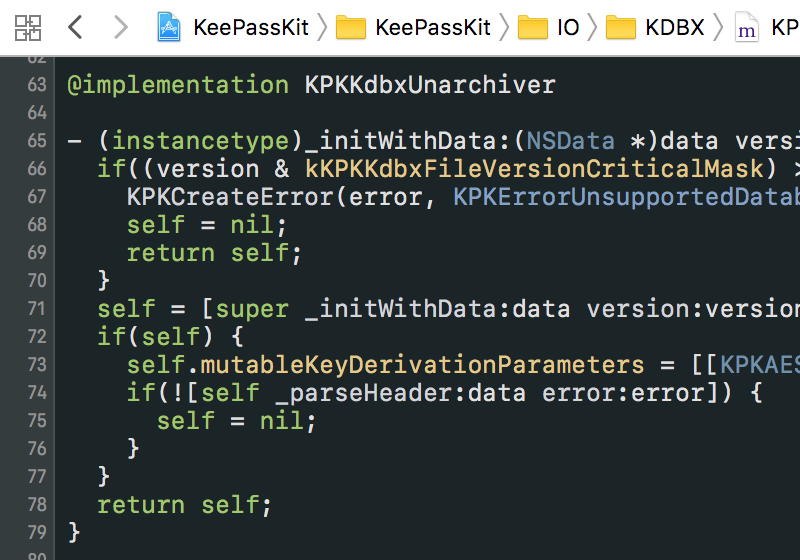 MacPass can read and write KDB Legacy files as well as the latest KDBX Format. 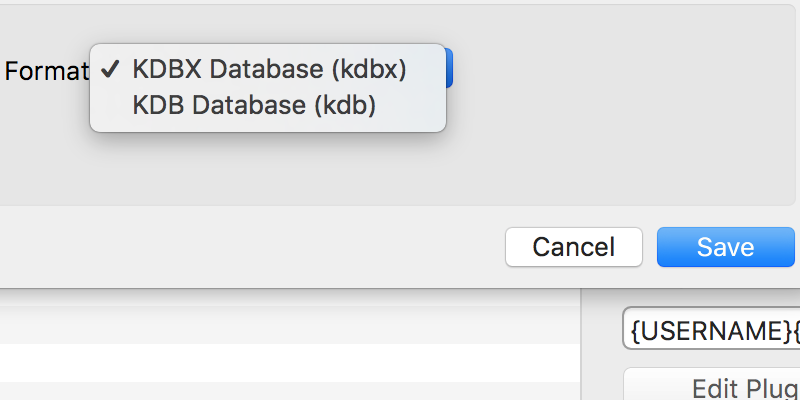 You can even convert KDB to KDBX and the other way around. 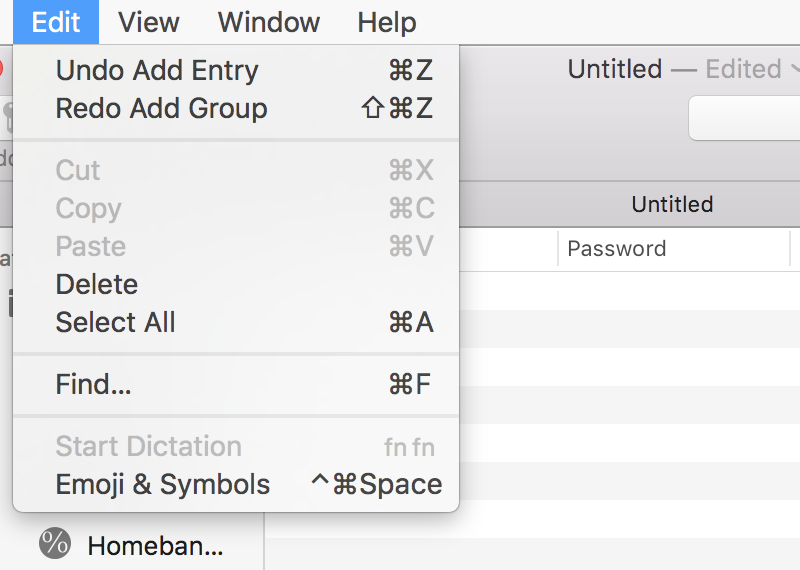 Change the way your entries and groups look by choosing from the many icons. If you like a bit of color, let MacPass generate icons based on websites for you! 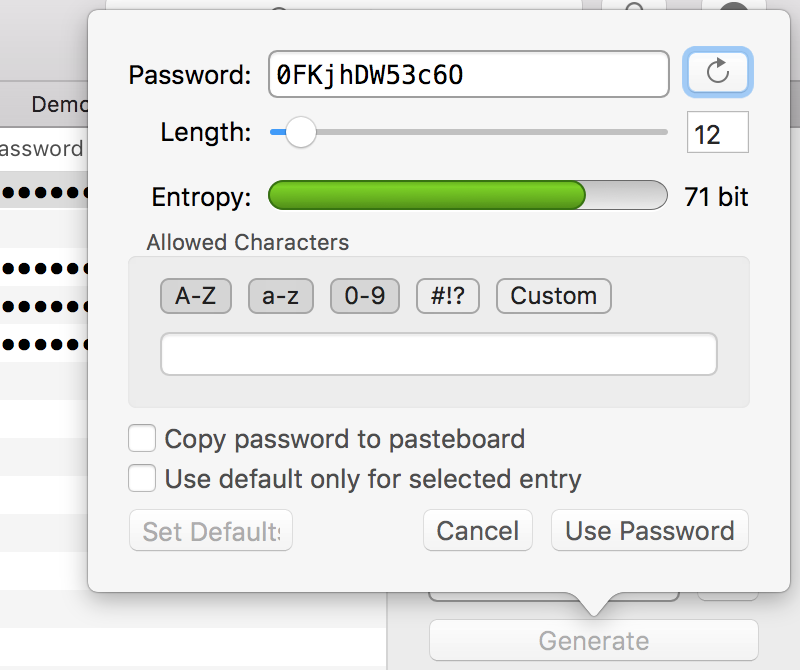 Generate passwords using the built-in generator. Adjust the method to comply with any restriction you might encounter. 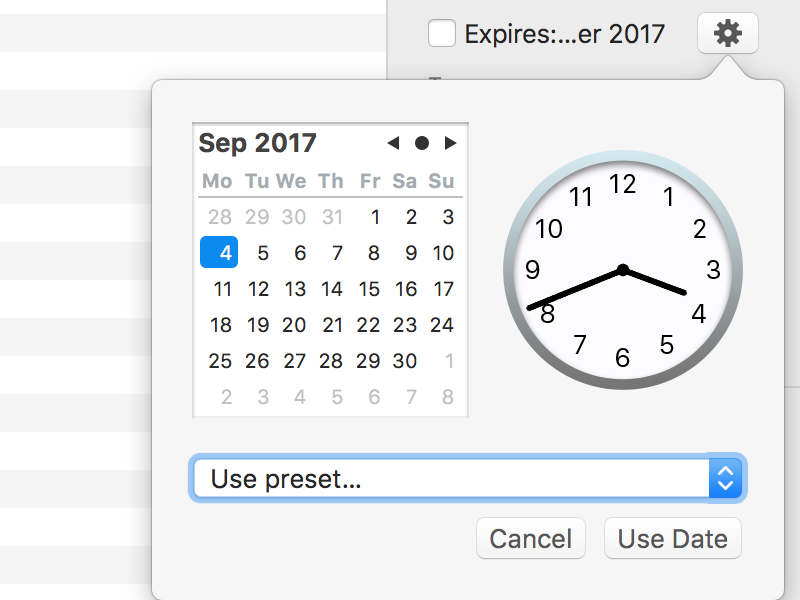 Set a date, when passwords expire. MacPass will mark them with a special icon so you'll spot them easily. You can even search for expired ones! 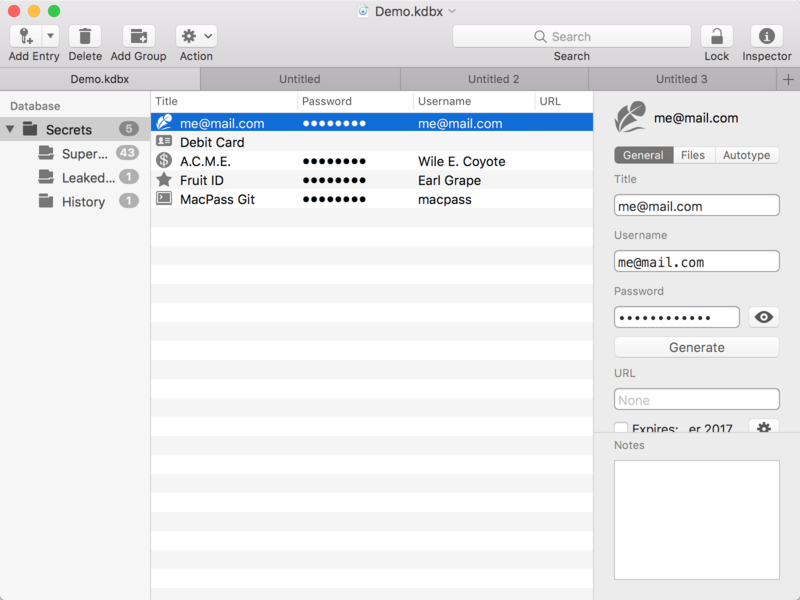 Changes made to your database outside of MacPass can be merged. No data is lost and all files are synchronized! 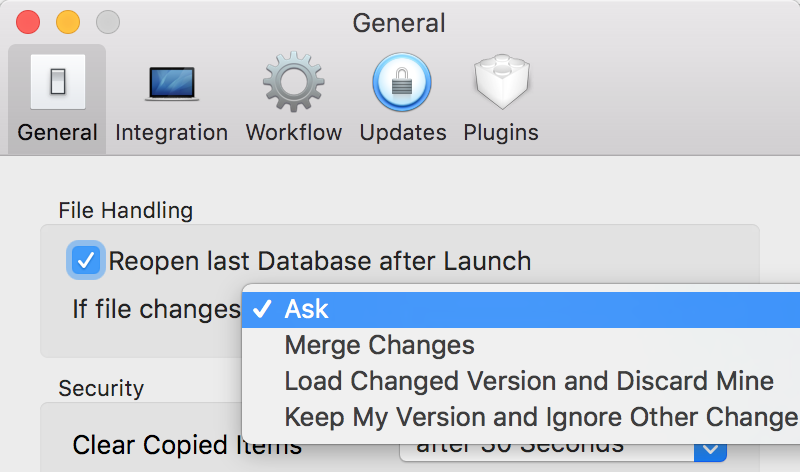 You even can merge arbitrary files into one single database. 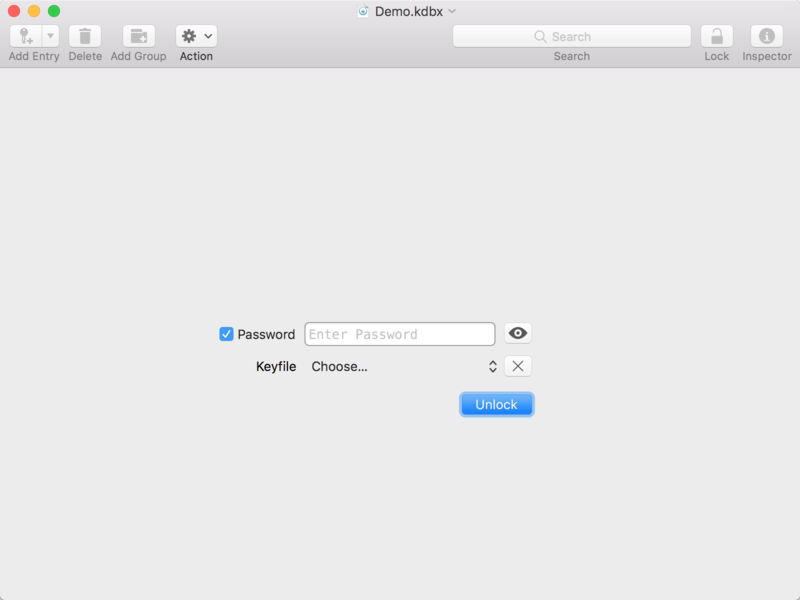 MacPass is able to merge even KDB files, although the format is not designed for synchronisation. 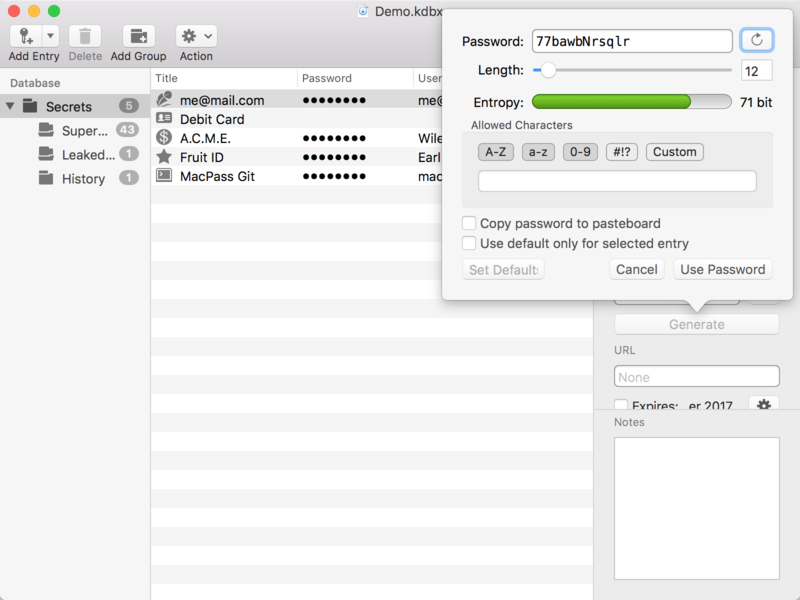 If enabled, your changes to entries will get stored inside the database. Just restore an old state or take a look at what changed over time. 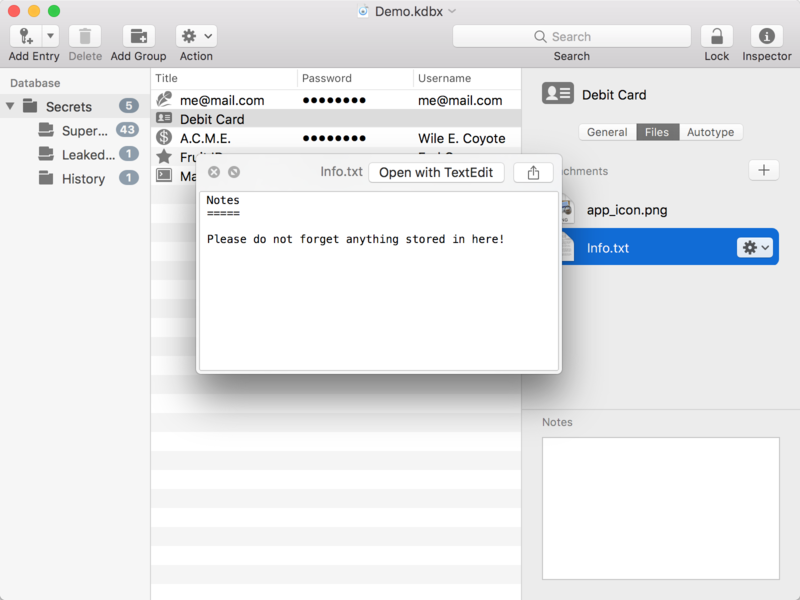 MacPass incorporates Sparkle to support auto updates. You're always up to date! 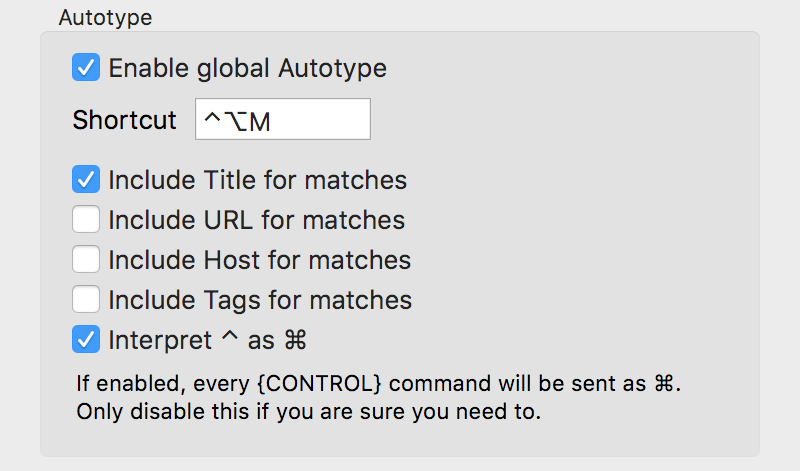 Since there's no one-size-fits-all, MacPass allows for Plugins to alter and extend its feauture set. Head over to the Plugin respository and start customizing. 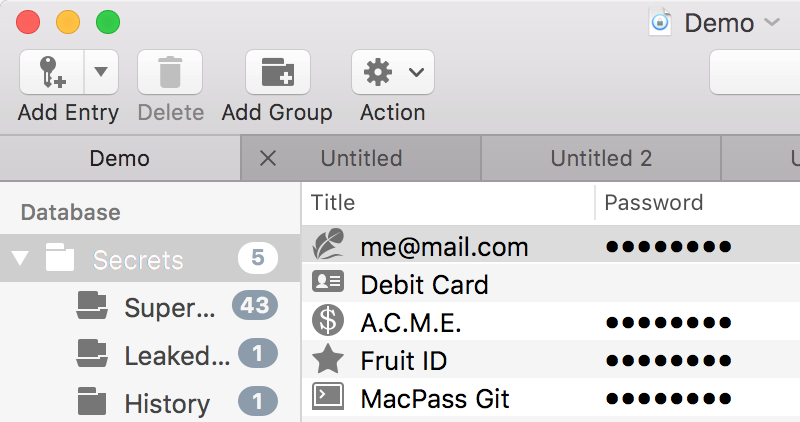 MacPass is free, open source software licensed under the GPLv3. It's build using other open source software like TransformerKit, KeePassKit, KissXML, Sparkle and a lot more. The source code is available on GitHub.